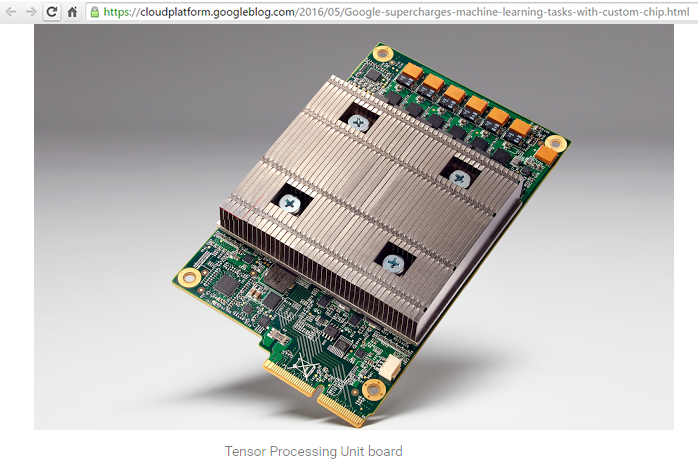 Cloud Tensor Processing Units (TPUs) are now available in beta on the Google Cloud Platform (GCP). 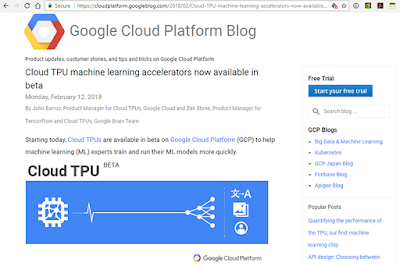 The Cloud TPUs are a family of Google-designed hardware accelerators that are optimized to speed up and scale up specific machine learning (ML) workloads programmed with TensorFlow. Google's TPUs are built with four custom ASICs. Each Cloud TPU packs up to 180 teraflops of floating-point performance and 64 GB of high-bandwidth memory onto a single board. The boards can be connected via an ultra-fast network to form multi-petaflop ML supercomputers. These "TPU pods" will be available on GCP later this year. 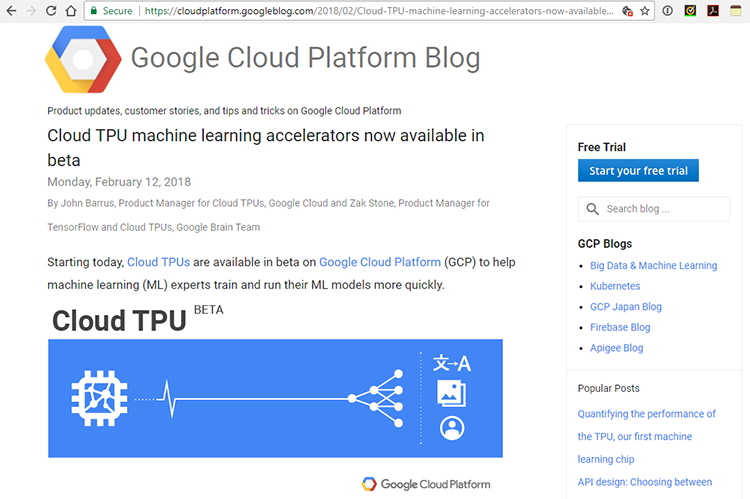 Google adds that its cloud TPUs can also simplify the planning and management of ML computing resources. By purchasing the service, users benefit from the large-scale, tightly-integrated ML infrastructure that has been heavily optimized at Google over many years. The cloud TPUs are protected by the security mechanisms and practices that safeguard all Google Cloud services. 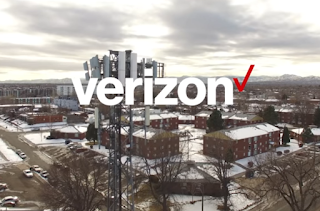 Verizon completed its first over-the-air call on a 3GPP-compliant 5G New Radio (NR) system using licensed millimeter wave spectrum. The call, which was completed at Nokia’s facility in Murray Hill, New Jersey earlier this month, used Nokia's 5G CloudRAN solution, which is comprised of the Nokia AirScale baseband and radio, AirFrame server, and AirScale Cloud RAN running 5G NR 3GPP-compliant software. Qualcomm provided 5G NR prototype devices in smartphone form factors. The companies described the test as an important milestone on the road to preparing Verizon’s network for widespread implementation of commercial 5G mobile services for consumers and enterprises. Qualcomm unveiled a 5G NR mmWave prototype system based on the 5G New Radio (NR) Release-15 specifications. Peak download speeds of up to 5 Gbps are possible. The prototype system, which operates in millimeter wave (mmWave) spectrum bands above 24 GHz, demonstrates how advanced 5G NR mmWave technologies can be utilized to deliver robust mobile broadband communications at multi-gigabit-per-second data rates in real-world mobile environments. Qualcomm's prototype leverages the company's optimized mmWave RF Front-end design in a smartphone form-factor to test and trial real-world mmWave challenges, such as device and hand-blocking. It employs Multiple-Input Multiple-Output (MIMO) antenna technology with adaptive analog beamforming and beam tracking/steering techniques, which is required for robust and sustained mobile broadband communications in non-line-of-sight (NLOS) environments and device mobility. It also supports 800 MHz bandwidth and advanced 5G NR technologies including LDPC channel coding for data channels. AT&T has added Accenture to its Microservices Supplier Program, which offers a new approach to delivering business functionality for software developers. Teams from Accenture and AT&T will develop microservices using scaled, agile and DevOps processes. The collaboration is expected to improve customer experiences, reduce support costs, and get services to market faster. AT&T describes microservices as one of the key pillars of its next-gen network platform. In 2017, AT&T deployed more than 300 microservices, with hundreds more planned for 2018. 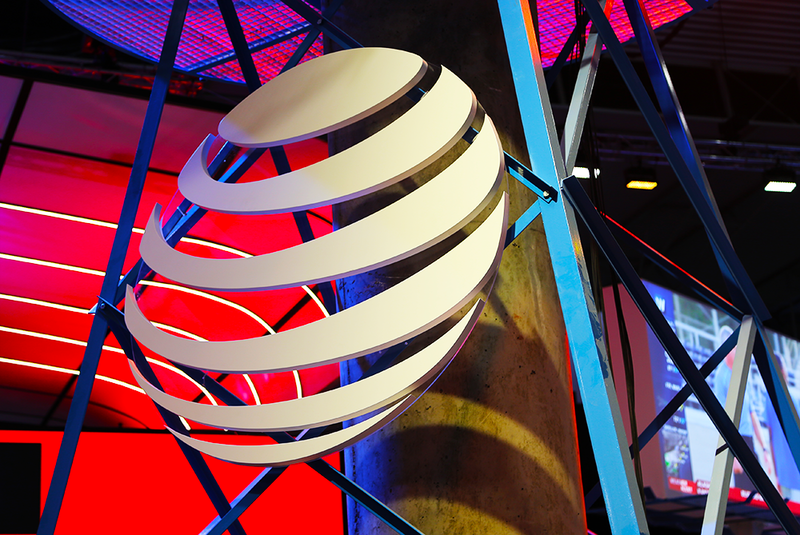 AT&T is launching its microservices supplier program in partnership with IBM. The idea is to offer a new approach to delivering business functionality for software developers. AT&T said that it is a heavy user of microservices for its internal systems. Under this partnership, IBM will collaborate with AT&T to design, develop and deploy microservices that will transform AT&T’s business backend processes. IBM’s creation of microservices across sales, ordering, and enterprise data will enhance and modernize AT&T’s mission-critical systems. 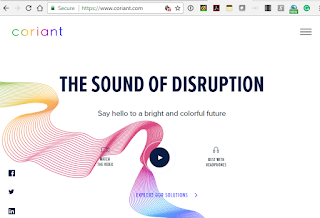 This enables higher-performing backend processing with minimal downtime while allowing the whole business to adapt quickly to changing market dynamics through the deployment of new fast and easy to access services and capabilities. Earlier this week, AT&T introduced Acumos, an artificial intelligence (AI) platform that makes it easy to build, share and deploy AI applications, built with microservices. AT&T, in collaboration with Tech Mahindra, is backing an open source artificial intelligence (AI) platform called Acumos that can be used to build smart applications. Acumos, which will be hosted by The Linux Foundation, makes it easy to build, share and deploy AI applications. More specifically, it provides the capability to edit, integrate, compose, package, train and deploy AI microservices. Acumos will provide a marketplace for accessing, using and enhancing those applications. AT&T said the Acumos platform is built on open source technologies and can be powered by AT&T Indigo, its next-generation platform for delivering a seamless network experience. 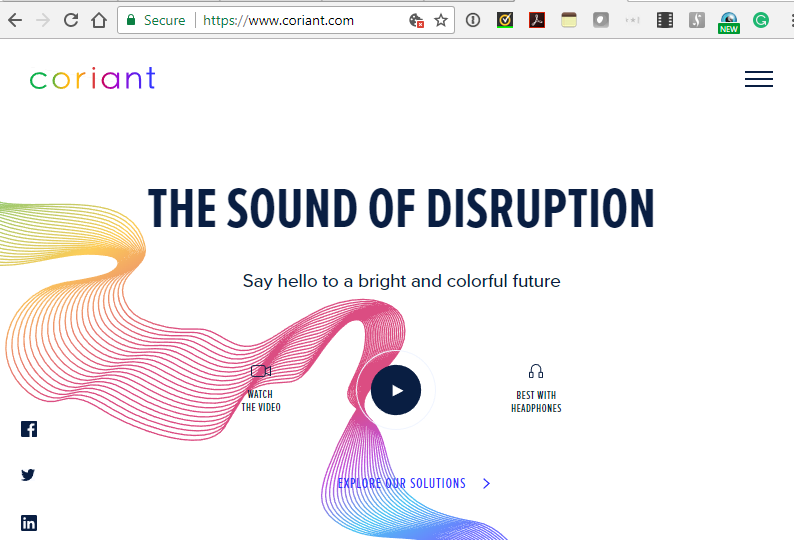 Earlier this year, AT&T moved its ECOMP into the open source curation of The Linux Foundation under the newly launched ONAP project. With Acumos, AT&T said it was acting to place the initial framework into open source as quickly as possible. Blue Danube Systems, a start-up based in Santa Clara, California, introduced its 96-element, second-generation 5G-ready Massive MIMO system. 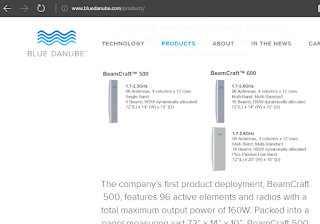 Blue Danube's the BeamCraft 600 series supports simultaneous beamforming over multiple frequency bands and across multiple cellular standards, allowing operators to deliver increased capacity through a single compact system. The company said its Massive MIMO can dynamically direct radio frequency (RF) beams where mobile traffic is high and without changes to existing cell sites or smartphones. The 96-element BeamCraft 600 supports up to two active mid bands using 16 software configurable beams, double the capacity of the company’s previous generation. An integrated passive low-band option is also available to further conserve antenna mount positions. 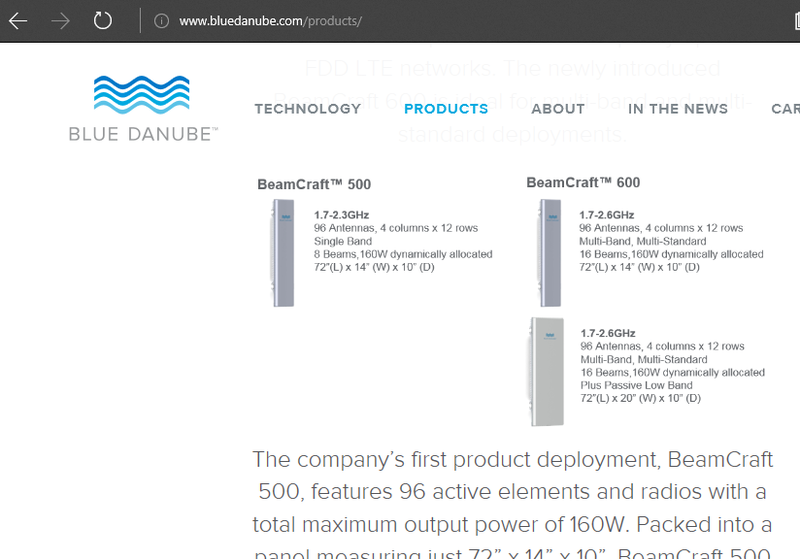 Blue Danube has deployed active solutions in 3 mid bands to date (AWS, PCS, DCS) and will trial the multi-band BeamCraft 600 in 2Q’18. Additional products supporting higher frequency bands including TDD will be available in 2H’18. Blue Danube Systems is headed by Dr. Mark Pinto, who previously was was an executive vice president at Applied Materials, where he launched the company’s solar business. Earlier in his career, Dr. Pinto was CTO of the Lucent Microelectronics Group and general manager of a wireless/wireline product division. The company was founded by Dr. Mihai Banu, who developed the Blue Danube concepts independently since 2006. Previously, he was R&D director at Agere Systems, working on analog circuits, RF systems for wireless LANs and wireless circuits research, and before that was Head of the Communications Circuits Research department at Lucent Technologies. Investors in Blue Danube Systems include Sequoia, Northgate, Silver Lake, and AT&T. Wix.com, which offers website services to small businesses, has chosen G Suite productivity and collaboration apps from Google as its exclusive cloud productivity offering for its users. Wix.com already uses the Google Cloud Platform, Google Maps API, YouTube and AdWords. Yuval Dvir, Head of Online Partnerships from Google Cloud added, "We are delighted to be part of Wix's growth and we will continue to help SMBs get the best of Google Cloud as part of our strategic partnership with Wix." 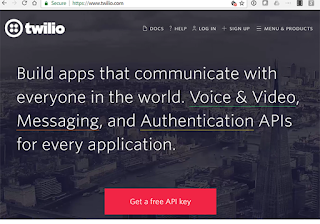 Twilio, which enables developers to embed messaging, voice, and video capabilities directly into their software applications, reported Q4 2007 revenue of $115.2 million, up 41% from the fourth quarter of 2016 and 15% sequentially from the third quarter of 2017. There was a GAAP loss from operations of $20.2 million for the fourth quarter of 2017, compared with GAAP loss from operations of $12.8 million for the fourth quarter of 2016. Non-GAAP loss from operations was $3.9 million for the fourth quarter of 2017, compared with non-GAAP profit from operations of $0.1 million for the fourth quarter of 2016. 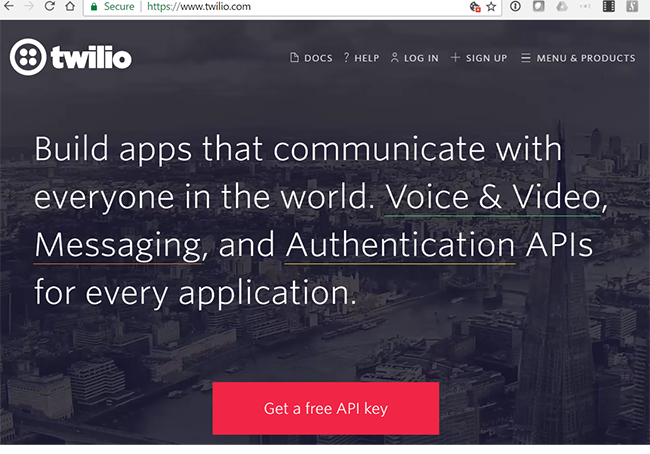 Twilio was serving 48,979 active customer accounts as of December 31, 2017, compared to 36,606 as of December 31, 2016.